Most vehicles have a normal operating engine temperature between 90 and 100º Celsius. If it rises too far above this, the engine will overheat. Thankfully, a warning light will appear on the dashboard to warn the driver of this, but it’s not as easy to tell if your heat transfer system is running correctly. 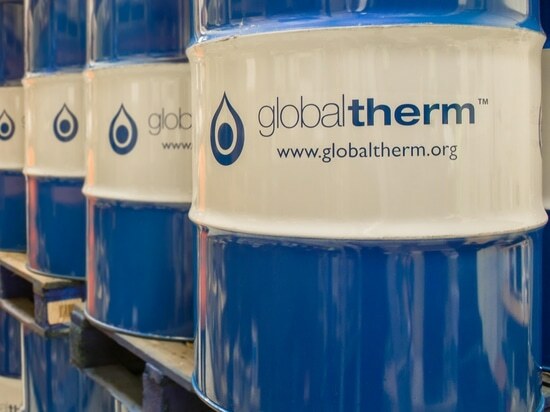 Here, Dr Chris Wright, head of research and development (R&D) at Global Heat Transfer gives his view on the main considerations when choosing a heat transfer fluid. Heat transfer fluid systems allow manufacturers to indirectly heat products in several industry sectors including pharmaceuticals, food and chemical processing. The thermal fluid moving through the system transfers heat to base, intermediate and final products during manufacturing or processing. It’s important that manufacturers choose the right thermal fluid for their system and application to get the best results. Manufacturers can select a heat transfer fluid based on its properties, such as thermal stability and heat transfer efficiency, but must also take into account the requirements of the system and cost. One factor on which to select a heat transfer fluid is its chemical composition, which can be an organic or a synthetic compound. Chemical-based heat transfer fluids can be based on several chemicals, including silicone, terphenyl and alkylated aromatic compounds. A heat transfer system based on one of these chemicals has several benefits over a traditional steam and water approach. This is because they do not require high pressures, are less reactive and less corrosive. Because of their chemical compositions, heat transfer fluids have differing properties. Manufacturers should be aware that the chemical composition of the fluid has an impact on how suitable it is for a particular application. Though all thermal fluids will degrade over time, matching the fluid choice to the system and the operating temperature can help to preserve fluid life. Synthetic heat transfer fluids, such as a silicone, have a lower propensity to form carbon than mineral-based oils, offering better heat transfer efficiency and thermal stability. They are also more resistant to fouling, which means they tend to form less coke on the internal pipework and heater. For example, a eutectic-based fluid containing biphenyl and diphenyl oxide, such as Globaltherm Omnitech, is generally considered to have better stability at high temperatures compared with a mineral-based fluid. A manufacturer looking to operate a system at a high temperature should consider thermal stability to ensure fluid breakdown isn’t accelerated at high temperatures. Viscosity can also influence a manufacturer’s choice, as it impacts how easy it is to pump around the system and therefore how much energy is used. Synthetic fluids tend to have a lower viscosity than mineral-based fluids, so a manufacturer looking to reduce energy costs may prefer this option. In certain industries, including food and beverage, fluid choice may be dictated by legislation surrounding which oils are suitable for a manufacturer’s process. In this example, the manufacturer should opt for a food grade oil because it is certified non-toxic. Ultimately, a manufacturer must weigh up heat transfer performance with the cost of filling the system. Filling a new system, or re-filling an existing system, can be an expensive task. However, poor fluid choice can lead to inefficient system operation and accelerated thermal fluid breakdown, which can increase maintenance requirements. Understanding the operating temperature of a thermal fluid is a little more complex than just a warning light on your dashboard. However, by carefully considering the requirements of the system and the application, manufacturers can make an informed heat transfer fluid choice.